Interested in visiting our clinic? New to the area and don't know what to expect? Take the clinic tour and see our elaborate and spacious facility! 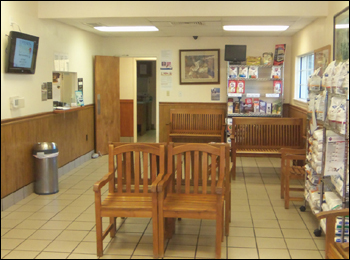 We have a very large waiting room to accommodate any size pet or multitude of pets. You can relax as you wait momentarily to be seen by a doctor. As you wait be sure to check out our information board for upcoming events or to help any lost or found pets. 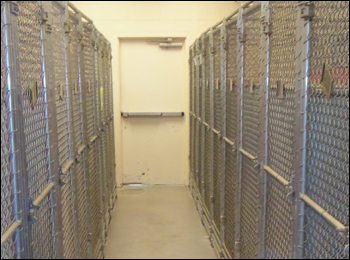 This is where your pet will receive the highest quality care. 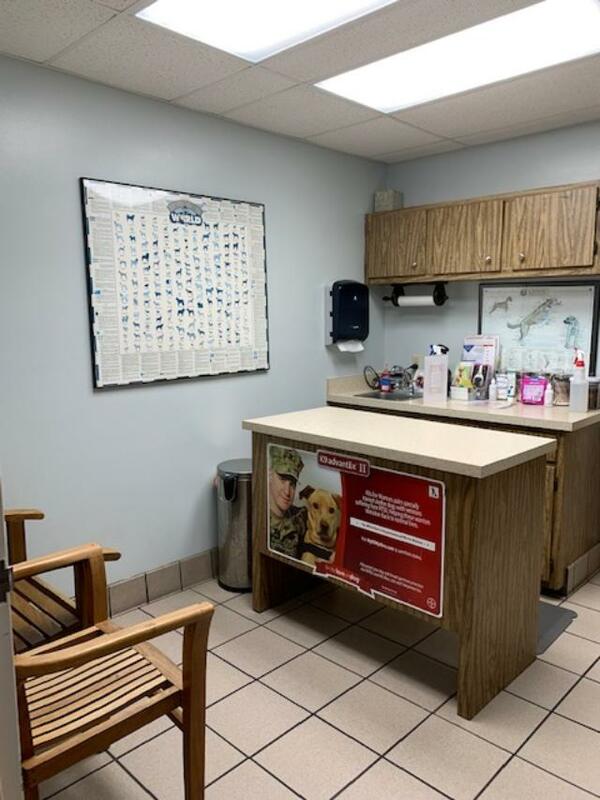 Each examination room is equipped with an exam table for easy and comfortable access to your pet as well as a place to sit and relax before the doctor comes in. We want to make the patient and the client as comfortable as they can be in a new environment. Our pharmacy is fully stocked with the specific medication your pet requires. Our medications can help with pain/discomfort, allergies/itching, infections, and a variety of different things that may be affecting your pet. 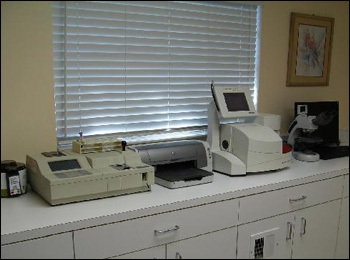 Our in-house laboratory can offer you complete internal diagnostics within minutes. We can run bloodwork or urinalysis to diagnose your pet correctly and efficiently. 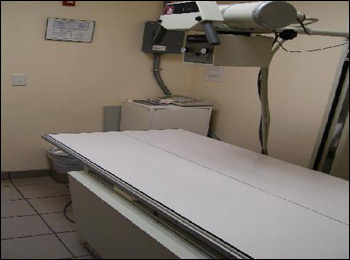 Our digital radiograph machine can give an accurate, clear, and instant view of any problematic issues within your pet. Any pet that needs hospitalization treatment or a more extensive examination which requires extra tools and space are taken to our treatment room. Here we can easily aquire the needs to quickly and accurately disgnose or treat your pet. 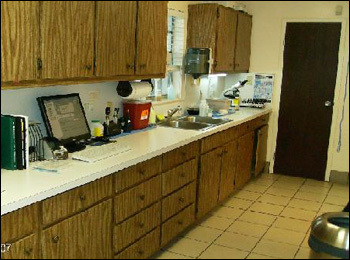 Our surgery room is well equipped with all things needed to perform routine or extensive surgery. 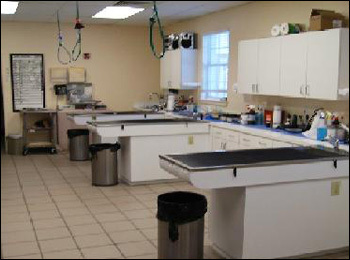 Anything from spays and neuters to bladder and bone surgery; this is where it happens. All animals who need immediate or constant care spend their time with us in our hospital ward. 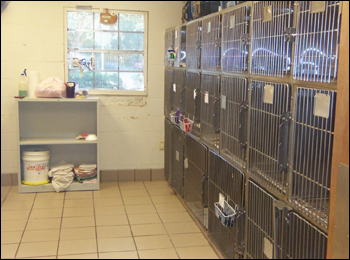 We have approximately 100 kennels for boarding, surgery, and bathing for dogs. We recommend making reservations for holidays for all boarding. 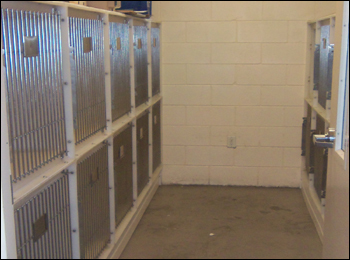 Our kennels range in size so we can accommodate any size pet or multiple pets in one kennel. Our boarding and surgery cats get their own quiet room so they aren't bothered by barking and other noises. 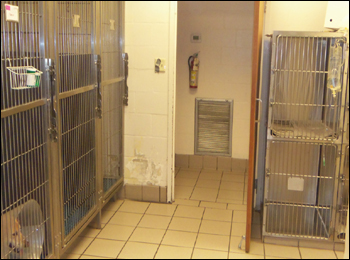 The kennels are adequate size for most cats with litter box, food, and water. 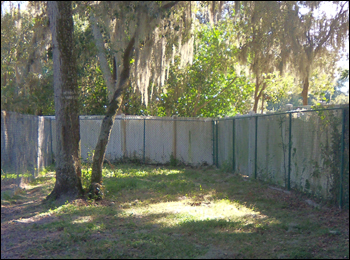 We have four fenced in outside yards where boarding, surgery, or bath dogs can go to use the restroom, get fresh air, and play with other dogs (through the fence).